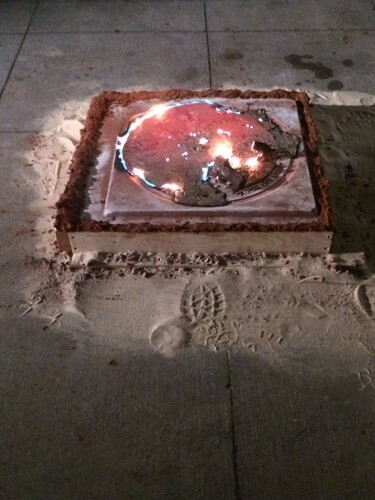 "In this live pour, I intended to link performance and object and to bridge my 1996 work, The Manhole Cover Project, which cast 228 utility covers from 11,194 guns that were confiscated by Connecticut law enforcement, to New Orleans current effort in transforming weapons into art. 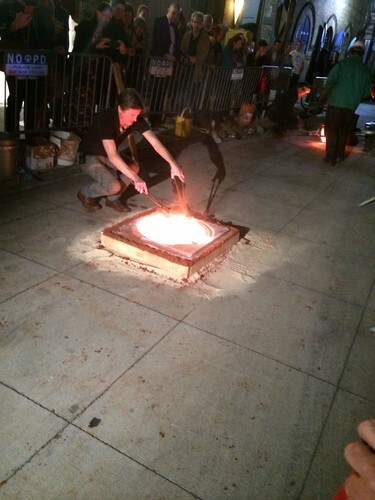 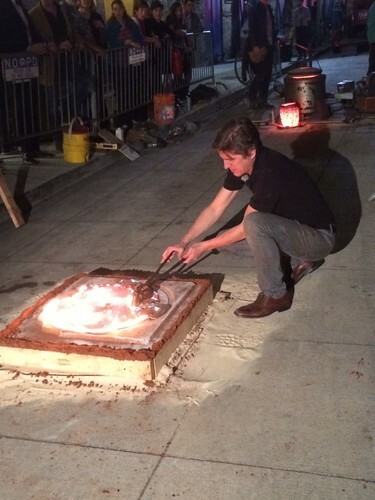 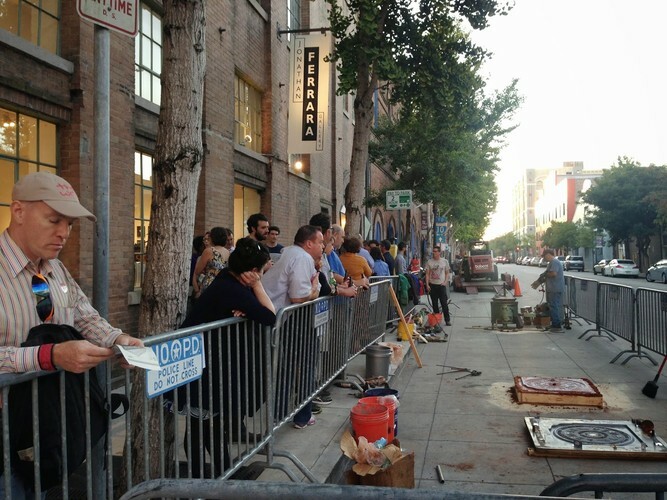 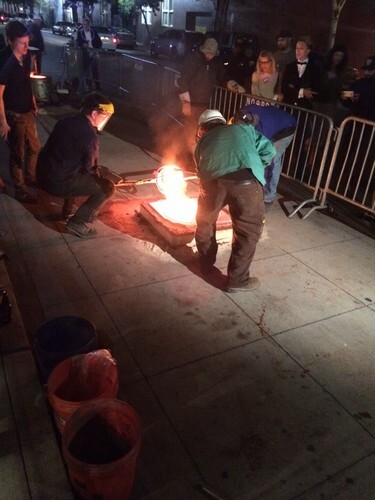 During the performance, I smelted guns taken from the streets of New Orleans, along with gun shell casings, and poured the iron-infused brass into a sand-cast impression lifted from the pattern that was used in The Manhole Cover Project. 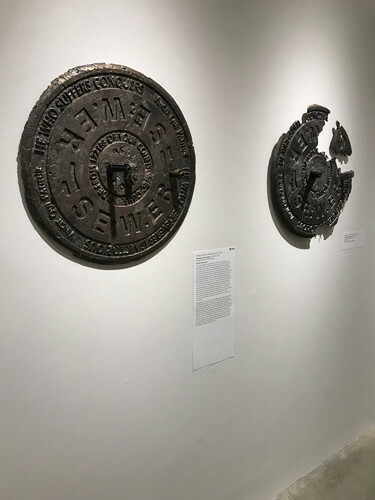 Part alchemy, part historical reference, this transformation and symbolic tracing of a past work aims to remind us that the national conversation around gun violence and ownership has not changed. 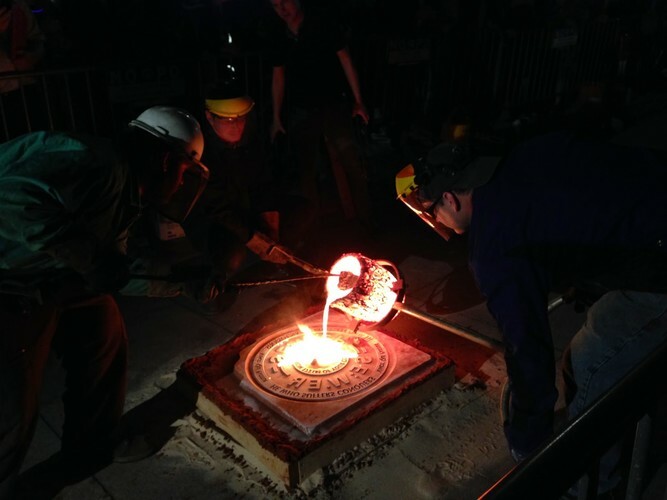 The object fabricated in this performance fused the present with the past-- the metal disc made from the impression of the manhole-cover pattern was penetrated with firearms taken from the streets of New Orleans to create a touchstone that aims to contribute to the civic discourse concerning gun ownership that is active in this local community.